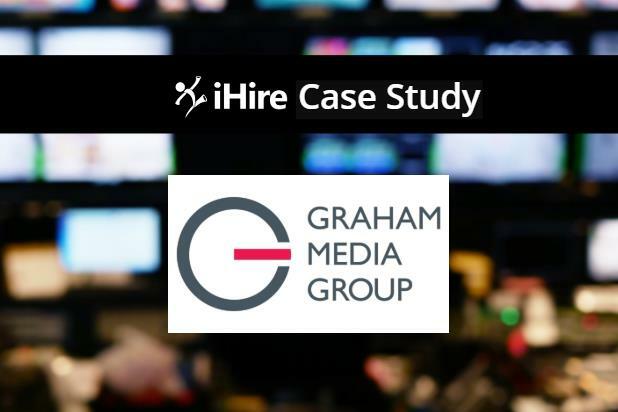 Since shining the iHire Business Spotlight on Graham Media Group, how has the broadcasting media company enhanced its recruiting efforts? We caught up with Graham Media Group to learn more about their successes with our Job Wrap workflow automation solution and job postings with employer branding. 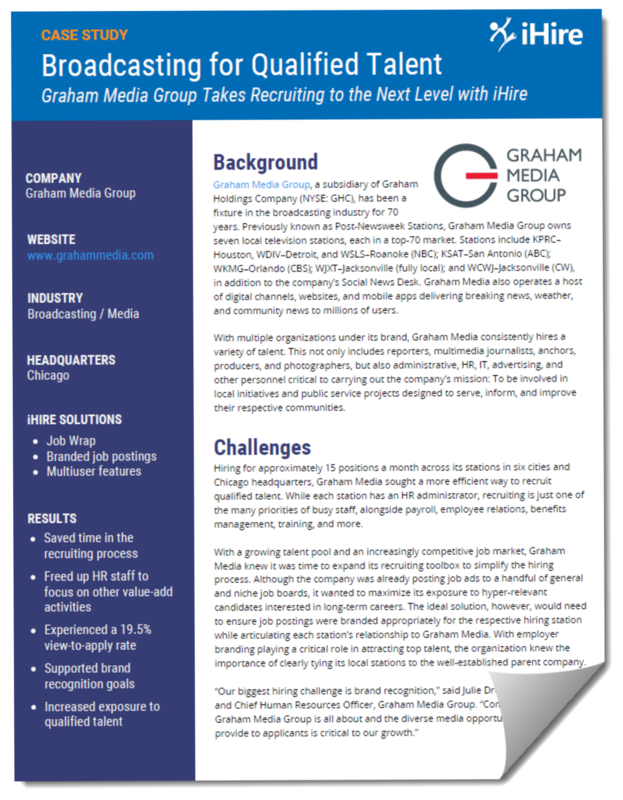 Download our case study below to find out how Graham Media Group achieved a 19.5% view-to-apply rate, supported their brand recognition goals, saved time, and increased their exposure to qualified candidates. Job seekers: looking for broadcasting jobs and careers in the media industry? Check out current openings for Graham Media Group jobs on iHireBroadcasting.